We have never sailed HAL. But just booked a TA/19 day cruise for August of 2020. I’d like to know just what are the pros and cons of this ship? Has it been refurbished? And are the SS Suites worth the extra $ ? I haven’t read anything about Zuidy for a while. Anyone recently on her ? How is she ? We absolutely adored our retreat cabana on the Eurodam last April. On our future Panama Canal cruise March 20-31, we have one booked on the Zuiderdam but the last posts I read indicated that they were in disrepair. Anyone have more recent experience with the Retreat area on the Zuiderdam? 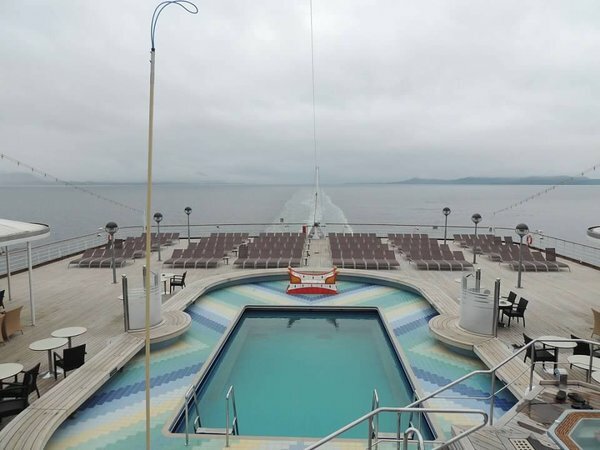 Will be sailing a 10 day Panama on the Zuiderdam on Oct. 20, 2019. The thermal suite couples 10 day pass sounds like a good idea on this cruise. The question is: should I book online at $309 or would it be better to wait till onboard? Do they offer a special at that time maybe? We are going on our first HAL cruise , and will be in a Neptune suite. I saw some pics online and it doesn't look like there is a bar in there? I have been in suite lounges on Royal...some of them have full bars, an some have decent food. Is the Neptune Lounge on the Zuiderdam more of just a hangout kind of place with a concierge, and some finger foods, and that's about it? Thanks! Hi, Anyone recently on the Zuiderdam? Do they still have happy hour? 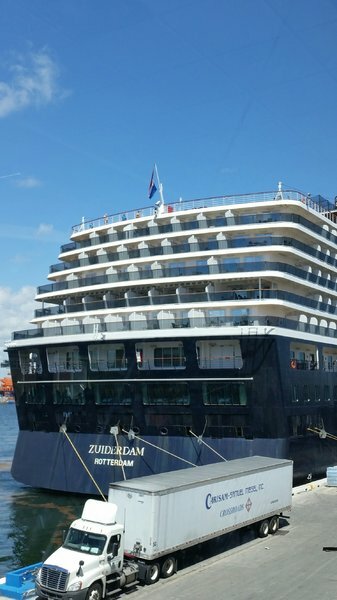 Can someone please tell me where the Zuiderdam generally docks in Curacao? I understand there are two different piers. Thanks. When the Vista class ships were built they all had a bar on Deck One of the Atrium near guest services. Is this still used for bar service on Zuiderdam, or is it just an empty unused space? I know it was ripped out of the Westerdam, but think it still remains on Zuiderdam, Oosterdam and Noordam. If not being used for bar service it would seem better to rip it out and use the space better, even if it were just to improve foot traffic flow through the Atrium. An disused bar is rather an eyesore and sad IMHO. My husband and I are booked for the full 24 day cruise from Copenhagen to Boston. This is a 2 segment cruise. Copenhagen to Rotterdam is a 7-day segment. Then the ship sails from Rotterdam for the 17-day segment to the Shetland Islands, Iceland, Greenland, the Maritimes and to Boston. Any others on this cruise? There is another roll call for this cruise of over 16+ couples who are planning 2 M&G's. We are the only gay couple in this group. Hope to connect with other gays as well. Have a great day. Joseph and Larry. I did search before posting, but couldn’t find what I was looking for and have limited research time. Does the Zuiderdam partial transit go through the old or new locks? Thanks! Brilliance, Regal Princess or Zuiderdam for Baltic Cruise? 11 Night Regal Princess out of Copenhagen 12 Night HAL Zuiderdam out of Copenhagen 12 Night Brilliance of the Seas out of Amsterdam I posted this on the Princess board, but thought I would post here as well. We have already been on the Brilliance sister ship Serenade of the seas. We would consider Brilliance if it is the better itinerary because we really love our cruise on the Serenade. But would definitely try a new ship if it had the better itinerary. This Baltic cruise this summer as a college graduation gift for my son. There will be our family of 5 with adult children in their early 20s. Are there some ports that are not to be missed? Which is the better itinerary the end of June? Zuiderdam will be at pier 26 (starboard to) from 0600-1700. She is headed out on an 11-day Panama Canal Seafarer cruise. Half Moon Cay, Bahamas (11 Apr 0800-1500); Oranjestad, Aruba (13 Apr 1300-2300); Willemstad, Curacao (14 Apr 0800-2300); Cartagena, Colombia (16 Apr 0700-1300); Panama Canal (Cruising Canal) (17 Apr 0500-0500); Colon, Panama (17 Apr 1500-2000); Puerto Limon, Costa Rica (18 Apr 0630-1600); Fort Lauderdale, Florida (21 Apr a0700) The only other ship in port is Silver Wind at pier 19 scheduled to leave at 1900. The PTZtv webcams can be found at https://www.portevergladeswebcam.com/ and https://www.ftlauderdalewebcam.com/. Next up: Oosterdam on the 13th. saltshell posted a topic in Need Help Using the Forums? Check Here! Keep looking for December 2019 roll call; non existent. Finally posted and can't even find my post. What's up? Rather than a full review, I thought I would just give some rambling bullet points of random comments. We just did the 11 day Panama Canal trip. We live in South Florida, so there was no hotel or airport aspect for us. We stayed in a Neptune suite (and typically stay in suites on other cruises, which are mainly on RCCL). The suite was very nice, comparable to a Grand Suite on a Royal ship The attitudes of staff and crew were for the most part exceptional. Workers had smiles, were friendly as could be, some had incredible memories for names and we felt recognized whenever we returned to the same venue on the ship; The ship itself was clean but tired/dated. It's hard to explain, but it lacked a certain "flow" to it. We have been on the Oasis and the Allure, which are about twice the size, and found those ships were easier to get around and more intuitive for some reason. There is certainly no "grandeur" to the ship, no "wow factor"...but that's OK. We didn't expect it; The Neptune Lounge was very disappointing. Concierges were very nice, especially on the first day or two, but we found certain suite perks were a little less than what we were used to. Example...one afternoon we decided we would prefer to switch our dinner reservation to the Pinnacle Grill. Concierge said they were full at our requested time (7), so we opted for Cannaleto. When we went to the Pinnacle Lounge for a cocktail before dinner at about 6:30, Pinnacle Grill was fairly empty. My experience on Royal was that the concierge could get us in almost anywhere. The honor bar in the NL should really work with a drink package...it would have been a good option for us for cocktails before dinner if it did. So other than grabbing a quick cup of coffee or having an occasional snack, there wasn't much of a reason for us to go there. 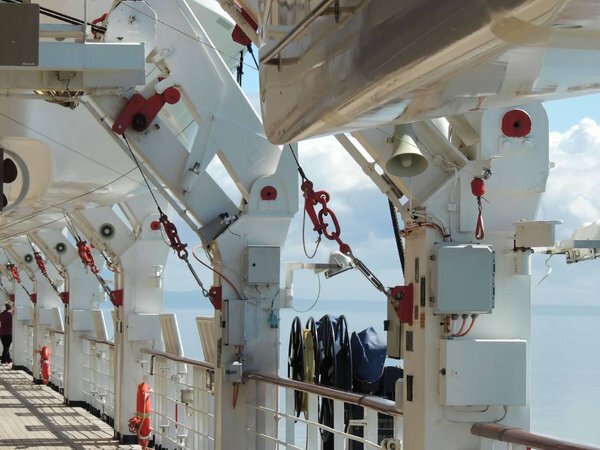 Some other random suite-related thoughts: No priority disembarkation at ports/tenders or the end of the cruise, no designated/reserved suite seating areas in the shows. None of these are going to have any impact on my cruise, but I am merely noting they are different than what I have seen before. The laundry service/dry cleaning ROCKED. Great perk, took advantage of it and loved it. Breakfast in the Pinnacle was great and we took advantage of that as well on several occasions; Food was very good for the most part. We found the MDR food to be tasty and surprisingly good most of the time...easily better than Royal. Pinnacle Grill experiences were very good as well, as was Cannaleto. The Lido buffet was a little disappointing. We didn't go too often, but I found the selections were so so, and the quality was only fair for me. Dive-In was very good; We didn't really take advantage of the entertainment venues too much. Piano bar singers were a little cheesy, but people loved them and they served their purpose well. We attended America's test Kitchen a couple of times during the trip and it was a nice diversion; Cabana...best part of the trip for us. We reserved one for the entire cruise and were there at some point pretty much every day. Attendants were great..took good care of us. Given the serious lack of lounge chairs by the pools, we were glad we did this. Had lunch up there many days and they were super accommodating. Very surprised that so many went unoccupied; Norovirus scare- A few days into the cruise, we started to notice some procedure changes. The Lido was blocked off in certain areas, and NOTHING was self-serve anymore. Sure enough, the captain made an announcement that there were a few cases of gastrointestinal issue reported and they were going to a different protocol. Urged everyone to be more diligent in hand washing. That protocol continued throughout, and later announcements were stating that the issues hadn't seemed to spread, but they were remaining vigilant; Ports were all new to us, so that was good. Enjoyed Caracao, and the highlight was the Panama Canal of course. Loved it. Had an incident on a private tour in Costa Rica where we were about 50 yards away from the coast guard opening gunfire along the bank of a canal we happened to be sightseeing in, and our tourboat was instructed by guides to "get down" as we literally smelled the gun powder. This is another post for another time, but thankfully everyone in our tour was OK and the tour continued. Overall, HAL did a great job on a smallish, dated feeling ship and the food and crew made it a really enjoyable vacation. Happy to answer any questions if I can. http://click.email.cruisecritic.com/?qs=5f998da916e252f07e01497915f1fd464a1b8d19babc8550fd97d3603e4829b724c319ba8a92afb089f5b291a9ab81331cc221bca37cd6b27cdacb7efa630058 Here’s the link to my review of the Zuiderdam. One thing I forgot to mention in the review was the timing of dinner seatings. Early dining was at 5:30. Late dining was at 7:45. Part of our group switched to late dining as 5:30 is just way too early to return from ports, enjoy happy hour, get ready for dinner, etc. I thought the 7:45 was perfect as many lines have the later seating much later. The staff on the ship was wonderful. As you you will see, my review is mixed. It’s a good thing there are many cruise lines to sail. Something for everyone. HAL, while nice, would not be our choice for another cruise.